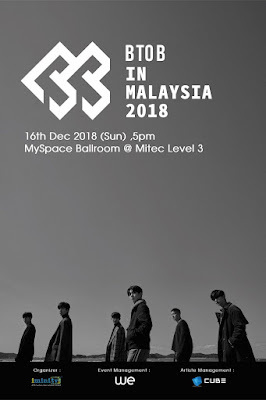 <BTOB in Malaysia 2018> is the last overseas event of Lee MinHyuk before he starts his military service. 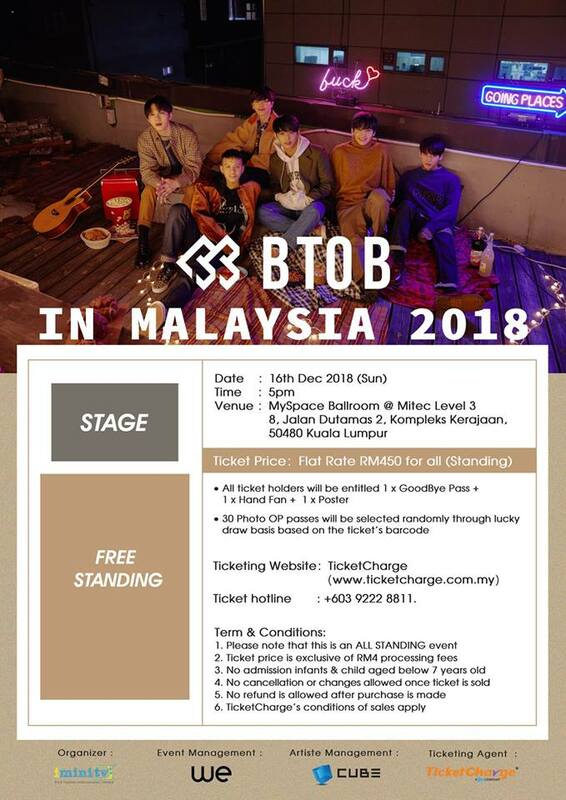 To create a successful yet memorable event together with Btob, we will increase the number of songs and adjust the venue layout and content. 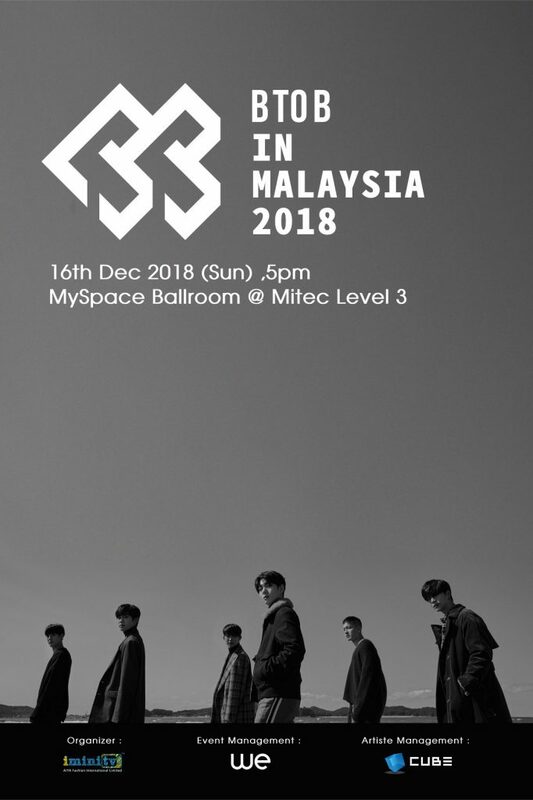 We have decided to postpone the ticket sales to 21st Nov 12pm. 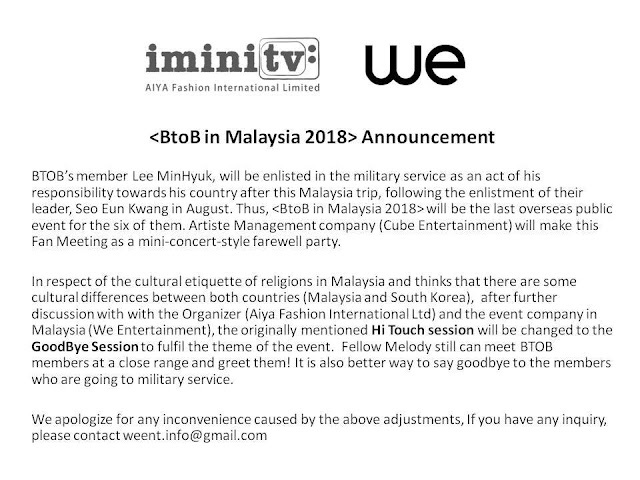 Melodies, please be patient and We apologize for any inconvenience caused by the above adjustments.